Hi! I’m Lisa and I’m Masha. 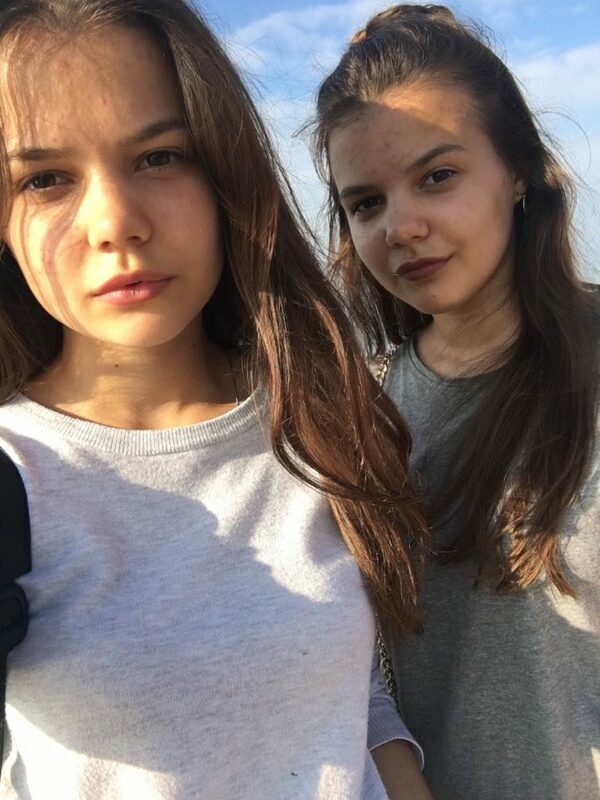 We’re 14 years old twin-sisters and we’re from Russia. We were in England Margate for 4 weeks. Our 4 weeks we spent with Ella and Jim’s family. Every day we had 3 hours a day of our lessons (except of Saturday and Sunday) in which we played different games, learned new vocabulary. We also learnt new grammar and practised reading, speaking, listening, writing. We also wrote our diaries every evening. We lived in a big home with a garden. Each of us had their own room in which we had all facilities for living and study. Every day we went to some places. After we had lessons we, after lunch, went to some places such as Broadstairs, Ramsgate, Canterbury. We also played bowling , mini-golf and table tennis. We visited a lot of historical places and museums, for example, local museum of Margate, Tudor House, Shell Grotto, Charles Dickens Museum, Ramsgate War tunnels and Canterbury Cathedral. We also visited some castles, for example, Dover castle ( it was our favourite castle), Deal and Walmer castles and in this castle we watched the play Alice in Wonderland. We went to the farm to pick cherries, raspberries, loganberries, black and red currants. Jim took us to the zoo which is called Wingham Wildlife Park where you can see a lot of animals – bears, snakes, monkeys, gorillas, eagles. Ella took us to Tides swimming pool which has a big slide and waves. We swam a lot in the sea. We love the beach! We had a ride on the open-top double decker – it was so windy! And we had some fun on the pedal boats. One day we went to the cinema and watched “Jurassic world: Fallen Kingdom”. We loved shopping in Westwood Cross shopping centre and Canterbury shops are the best. On the last Thursday we went to Dreamland. There we went on different rides such as Big Wheel, Hurricane Jets and many more. We had a such tasty food. Ella did it by herself. For breakfast we had some cereal with yogurt or milk, croissant or sandwiches with jam and a lot of fruits. For lunch we had some sandwiches with different cheese, a lot of kind of ham and sausages,salad. For dinner we had a soup,chicken,salad,rice or pasta,chips,fish and etc. One of the day we cooked an apple pie. Also Ella cooked Mexican food.